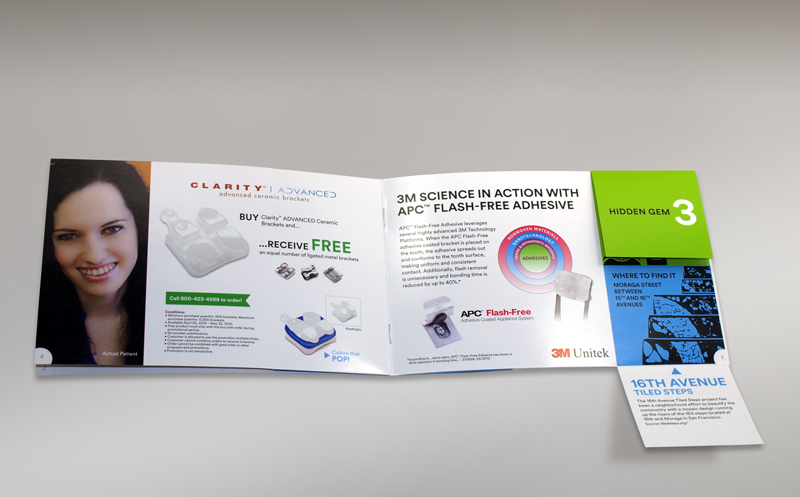 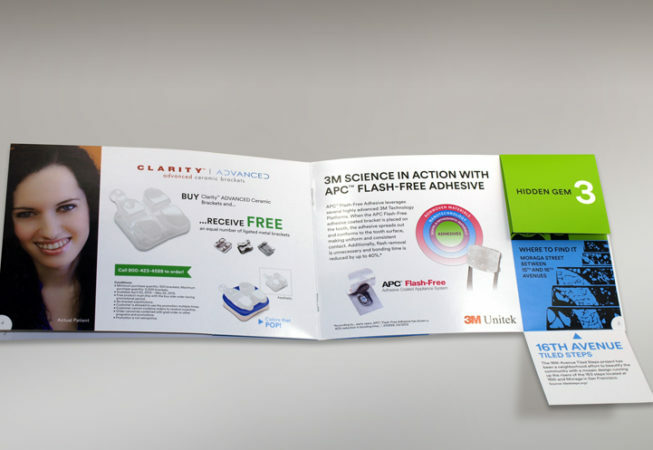 The project: This multi-page event promotion brochure was mailed to doctors to encourage them to attend the American Association of Orthodontists annual meeting and visit the 3M Unitek trade booth. 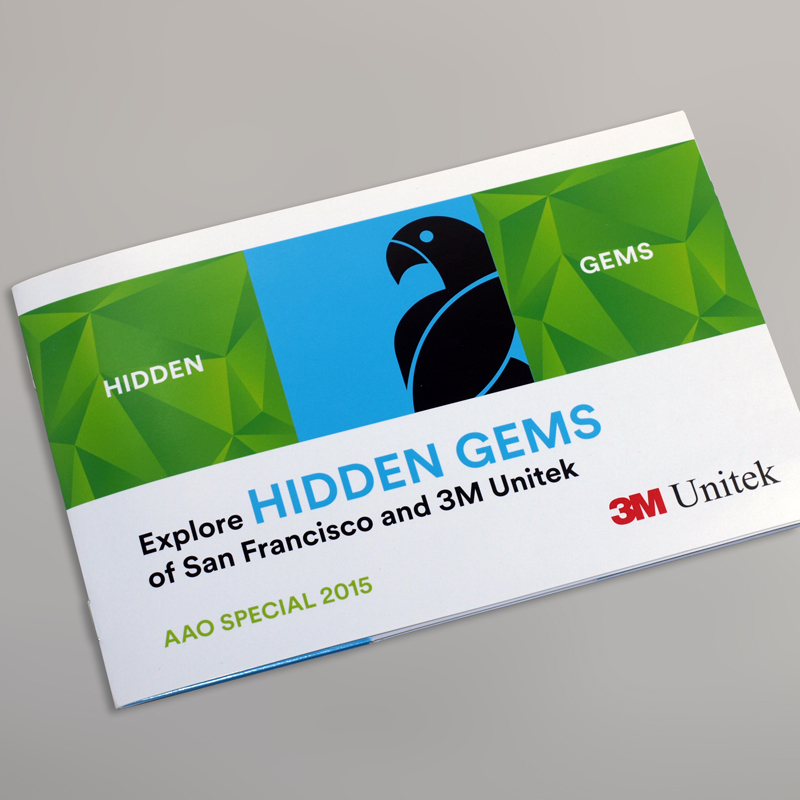 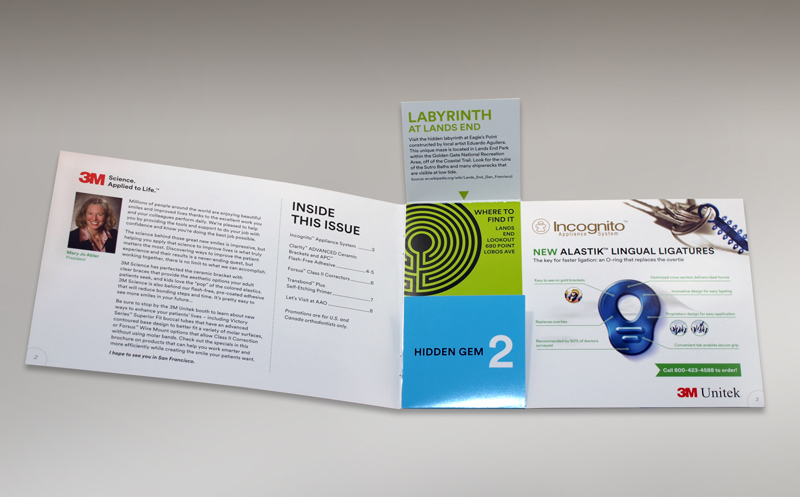 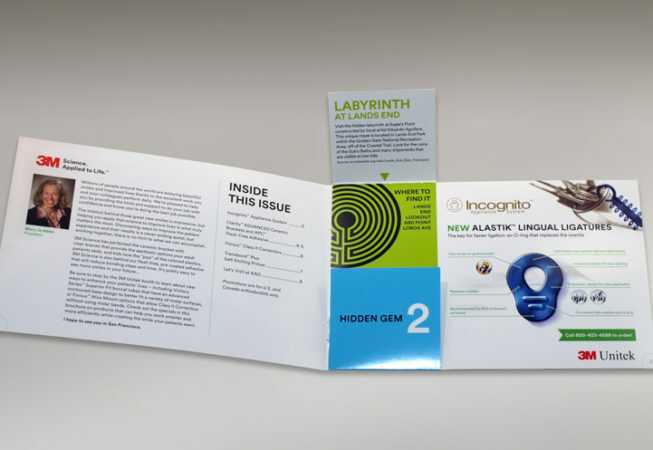 In addition to the 3M promotions highlighted in this brochure, attendees find two “Hidden Gems” on each page. 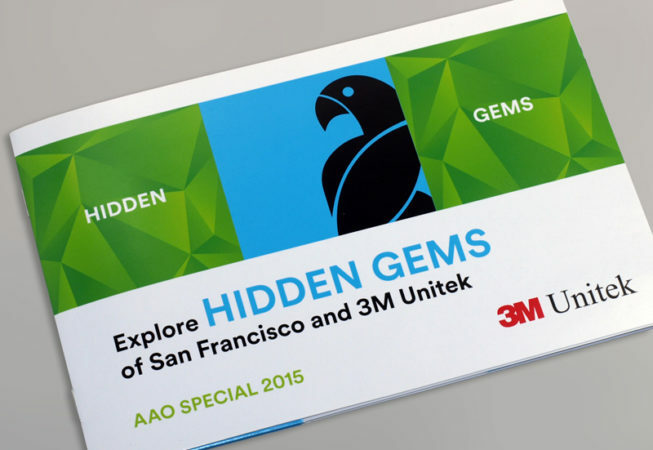 Lifting a “Hidden Gem” flap reveals a fact about a special San Francisco location.